All aboard the Egypt Express! If you’re looking for an awesome, affordable trip through Egypt that starts and ends in Cairo, you’re in the right place. 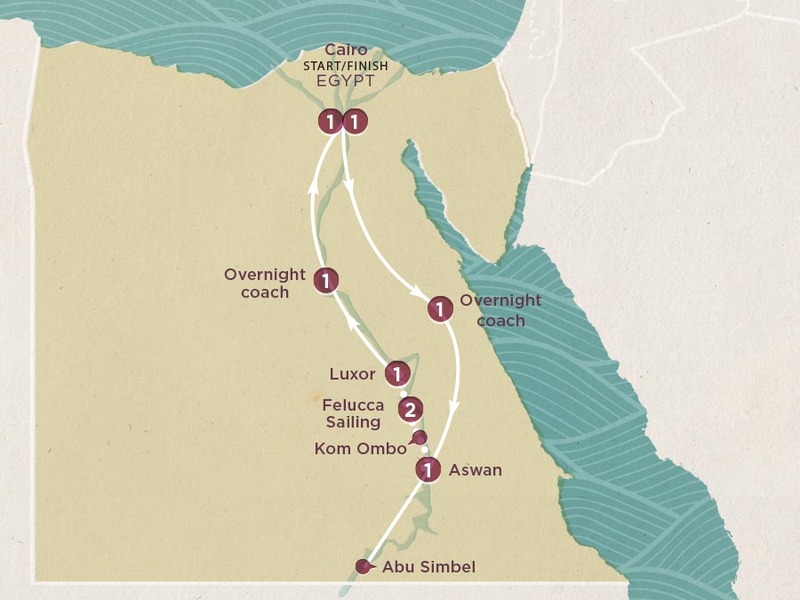 See the pyramids and sphinx in Giza, sail on the Nile in a traditional felucca boat, shop in Luxor’s gold markets and tour the Valley of the Kings with a qualified Egyptologist. This is an Egypt experience you’ll never forget. Seriously.